The (ice) cream of the crop. October is here — Fall is in the air. For LA, this means that the sun still shines brightly and 90-degree days pass by in blissful warmth. Although Angelenos may (sometimes) wish for actual “seasons,” our perpetual summer carries some undeniable perks. For example: ice cream is always in season. So, before the weather turns to jeans and sweaters, here are some of the best joints to help take the heat off. Looks like the cupcake craze isn’t ready to die just yet. Although Sprinkles rose to fame as the first cupcake bakery, the addition of ice cream to their empire showed the world that they weren’t going to play it safe. Luckily, their experiment has paid off. Even with the recent issues faced by Crumbs Bakery and other cupcakeries, people still line up for red velvet waffle cones laden with scoops of salty caramel, malted milk chocolate, or even Cap’n Crunch ice creams. Keep an eye out during October for their seasonal “apple pie” flavor. Scoops is owned by Matthew Kang, editor in chief of the LA branch of fellow food-based web resource Eater. But even without his LA clout, Scoops would still be a buzz-worthy spot. In addition to obvious knockouts like caramel oreo, Scoops also dishes up special flavors like brown brown bread and Thai iced tea. The menu is constantly changing, so you’re guaranteed to find something new every time. Even if you can’t, throw an idea up on their flavor suggestion board — you just might be able to up your game with a little bit of that ice cream fame. 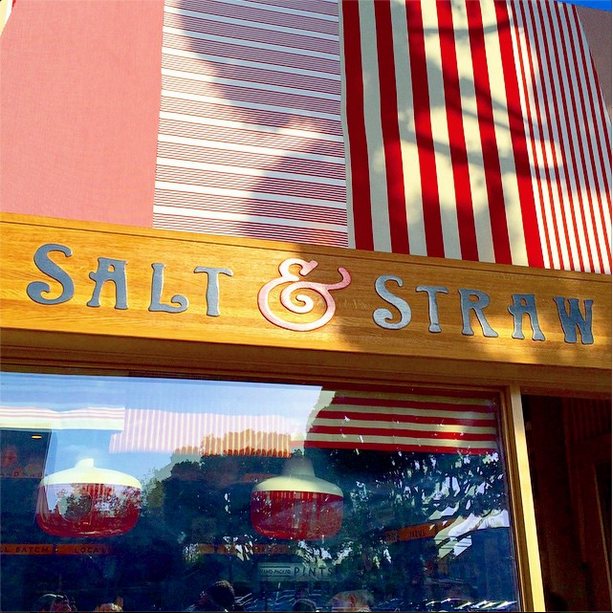 Sweet Rose has two locations, but we prefer their Santa Monica branch. Hit up the local farmers markets, take a stroll along the coast, and then pop in for some unique ways to cool down. Sweet Rose is always changing up the menu, but current flavors range from creme fraiche with elderberry and pink peppercorn to carrot cake with cream cheese. 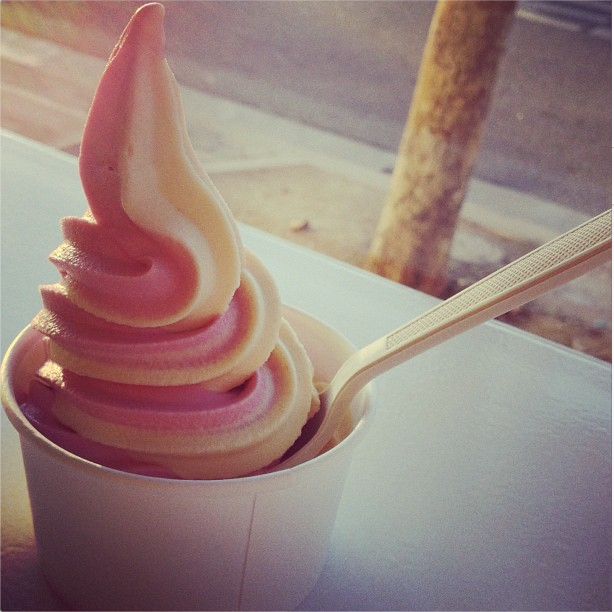 The shop also boasts a range of dairy-free sorbet as well as soft serve, pastries and even coffee. Everyone loves a great sandwich, especially when the word sandwich is preceded by the words “ice cream.” At Diddy Riese, diners build their own personalized ice cream sandwiches Chipotle style. If you’re feeling crazy, you can even have different flavors on the top and the bottom, making for a level of unprecedented bite variety. Choose your ice cream, choose your cookies – it’s impossible to choose wrong. A newcomer to the LA scene, this Portland-based shop has garnered national praise from Oprah, GQ and more. At the moment, lines are out the door, but it’s worth it to try delicious concoctions like black olive and goat cheese, cinnamon apple donuts or Oregon rocky road. Grab your ice cream and stroll along the artsy and interesting Larchmont Boulevard; at last count, there were three (yes, three) juice bars. Maybe a hearty scoop of ice cream is just what this area needs. If you’re looking for a great weekend trip, head south to Afters Ice Cream in Fountain Valley, CA. They recently gained some renown for their so-called “milky bun,” which is a scoop of ice cream sealed tightly in a fluffy doughnut bun. One bite and you’re guaranteed to forget that you just drove an hour for ice cream. If you don’t feel like trekking out to an actual ice cream shop, just hit up your local supermarket and grab a few pints. 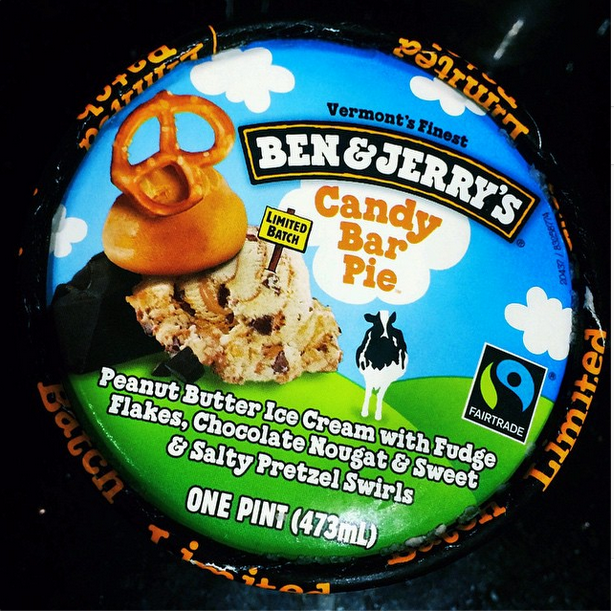 Keep a close eye out for the current limited edition Ben & Jerry’s flavor “Candy Bar Pie,” peanut butter ice cream with fudge flakes, chocolate nougat and sweet/salty pretzel swirls. It’s as awesome as it sounds. Also look for Graeter’s “black raspberry chocolate chip.” It’s their best-selling flavor for a reason.